Provide comfort for the family of Ladonna Cross with a meaningful gesture of sympathy. 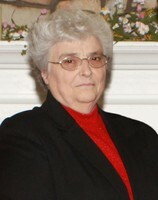 Ladonna M. Cross, 78, passed away April 4, 2019, at a Portland hospital. She was born March 1, 1941, in Bradford the daughter of the late Leon E. and Theda (Bean) Cross. Ladonna was an honor graduate of Bangor High School and was a resident and employed in Bangor until her passing. She is survived by a nephew, Jay D. Garland and his family of Loganville, Georgia; a niece, Angela M. Munson and her family of Natchez, Mississippi. In addition to her parents she was predeceased by her brothers, Galen E. Cross, Richard L. Cross; a sister Loretta (Cross) Rivenbark, and a nephew Joel S. Garland. Graveside services for Ladonna will be held 11 AM, Thursday, May 16, 2019 at Mt. Hope Cemetery, Bangor. Relatives and friends are invited to meet at 10:45 AM at the Superintendents Lodge, 1048 State Street Entrance, Bangor. Gifts in her memory may be made to the Lost Lamb Evangelical Association, PO Box 2007, Bangor, ME 04402; or to the Household of Faith Ministries, PO Box 514, Corinth, ME 04427. Condolences to the family may be expressed at BrookingsSmith.com. Relatives and friends are invited to meet at 10:45 AM at the Superintendents Lodge, 1048 State Street Entrance, Bangor. We encourage you to share your most beloved memories of Ladonna here, so that the family and other loved ones can always see it. You can upload cherished photographs, or share your favorite stories, and can even comment on those shared by others.